Diabsolut, Inc., a leader in strategic workforce management, Salesforce.com consulting services, and business and cloud solutions, has announced its acquisition of Precision Systems Group (PSG), a boutique IT recruitment firm specialized in IT contract staffing, permanent staffing, and recruitment process outsourcing. 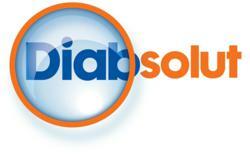 PSG’s entire operations will become consolidated into Diabsolut’s portfolio on January 1, 2013 as project and contract resourcing. Diabsolut serves mid-market and enterprise companies in a variety of industries including telecommunications, utilities, medical devices, home automation and security, and others.